On the way to the forthcoming Rio+20, we would like to share with you this video by IDEA (International Drama Theatre and Education Association), which celebrates the 2010 World Congress on Arts Education. This video is one of the contributions of the Brazilian Network of Arteducators (ABRA) to debates taking place on Culture and Sustainability in the People´s Summit during Rio+20. 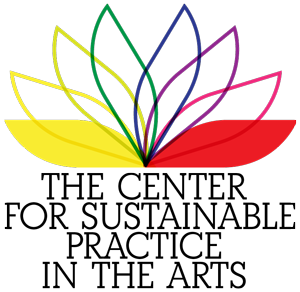 The 2010 Congress was created by artists and arteducators from 60 countries to share pedagogies that nurture empathy, solidarity, creative humanity, cooperation and democratic communities for sustainable futures. Wallace Heim writes: The TippingPoint last month, co-hosted by the Newcastle Institute for Research on Sustainability, made a step-change from previous TP events. Many of the same elements were there, but something shifted. Something sparked in the combination of TP’s open structure and those participants, those presentations, the talk, the room and the city. 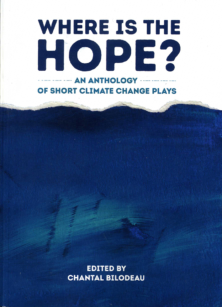 It felt as if many things were converging, and instead of being an event proposing or speculating that culture and the arts could be important responses to climate change, it was an event going with and propelling the diverse and energetic work that is being made, and being dreamt of. The presentations in more conventional conference form, many now online, were provocative, each presenting a distinct direction and raising questions that filtered through the rest of the event. Kevin Anderson and Matt Ridley’s heated head-to-head (“Two men slugging it out over data” as one participant named it) exemplified adversarial strategies and the ways in which the ‘deniers’ and those who accept the consensus views of science tend to define one another’s arguments, leaving a blank between them. It also brought out the difficulties of seeing and critiquing the rhetoric and argumentation in debates that rely on scientific data. Lucy Conway presented the artwork that is the Isle of Eigg, and how the population there is realising low-carbon, high socially and culturally benefitted living. Ben Twist from Zero Carbon Scotland +TBD, introduced the problem of whether art can, or should, be linked to behavioural change. Erica Whyman from Northern Stage showed how the major cultural organisations in Newcastle are collaborating across their business and institutional interests, and building a network that could include developing plans for material sustainability. The idea of organisational collaboration returned in Alan Davey’s announcement of Arts Council England’s decision to embed environmental sustainability into its funding agreement. The three days were planned to allow for chance conversations and random mixing in small groups, like the ‘Show and Tell’ session, where participants bring an object with meaning for them relating to climate change. Some of these personal and emotive exchanges drifted into the wider discussions. The three Open Space sessions had themes, the first two mostly ignored: ‘In what ways might I influence the future’ and ‘Exploring Possibilities’, in favour of people’s more immediate concerns. The third, ‘What am I going to do about the future’, drew out dozens of groups talking about their projects, and help that could be given to them. The openness of TP makes reporting back very subjective. It did feel as if something happened, more than presentations and networking. The unrepeatable, and well-facilitated, combination of the people, the ideas, the timing came together to make an event that showed and advanced the many edges of social and artistic action.Audio recordings of the presentations, tweets, blogs, interviews and commentaries with participants and some of the evenings’ entertainment are on Amplified. Photos above posted on Amplified by quitexander. The Cultura21 eBooks Series on Culture and Sustainability presents findings from inter- and trans-disciplinary perspectives in research and practice. The eBooks are published openly online by Cultura21 Institut e.V. in order to support broad dissemination and to stimulate further debates in civil society and further action-research in the field. The city today is increasingly conceptualized using terms such as ‘creative cities’ or ‘creative class’, stressing the importance of culture. The effects this can have on cities and neighbourhoods has been criticised from the wider field of sociology. 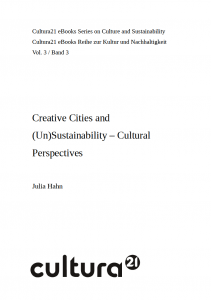 This critique can be examined and placed in the context of the analysis of a culture of unsustainability, in order to identify how the concept of creative cities may bring about unsustainable tendencies. 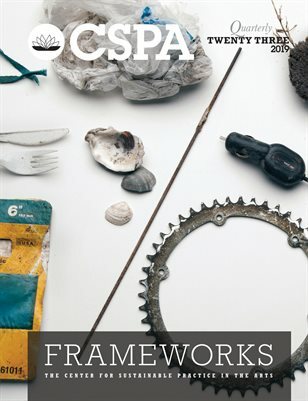 Building on this, a re-conceptualization of creative cities, based on an understanding of the role of the artist in cultures of sustainability is possible. Rethinking terms such as creativity can help form possible frameworks, which support sustainable creative cities. Julia Hahn (1981) studied Applied Cultural Sciences (2003 – 2010) at the Leuphana University of Lüneburg. Please visit http://www.cultura21.net to discover our redesigned website. 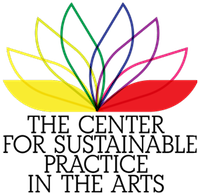 On this new website, you will find information not only about the activities of Cultura21, but also about other news relevant to Cultura21 themes. Don’t hesitate to browse through the 46 “pages” (top menu bar) and 100 “posts” (right-hand “categories” menu) already available on the website. You will also find a new ‘forum’ on the website (for which you will have to register, in order to contribute). The website is currently available in the following languages: English, French, German, Spanish, and Esperanto. Further languages will follow (Danish and Turkish are expected for the future). The web-magazine and the wiki remain available at the same web addresses as usual, and they are linked from the new website too. With many thanks to the editors who made this possible, and most especially to Roland Prüfer, our designer and webmaster! The Cultura21 eBooks Series on Culture and Sustainability, edited by Sacha Kagan and Davide Brocchi, presents findings from inter- and trans-disciplinary perspectives in research and practice. The eBooks are published openly online by Cultura21 Institut e.V. in order to support broad dissemination and to stimulate further debates in civil society and further action-research in the field. The eBooks, which are available as PDF files, are published as part of Cultura21’s Web Magazine and thus can be found at: http://magazin.cultura21.de/piazza/texte and the latest eBook from the series can be found also on our new multilingual website at http://www.cultura21.net. Karamoja, a semi-arid region located north-east of Uganda, is the land of Karimojong pastoralists. It is also a region in crisis: it is affected by arms trafficking, a demographic boom, climate change as well as other complicated development issues. More than that, Karamoja is a place where questions of “development” and “sustainability” intermingle in all their dimensions: environmental, historical, cultural, economic and political. This publication aims at presenting the complexity of all those challenges through the exploration of an innovative methodology to analyze environmental disasters: the Syndrome Approach. David Knaute (1981) has coordinated in 2008-2009 an advocacy campaign on the crisis in Karamoja (www.karamoja.eu). He currently lives in Paris where besides his professional activities, he prepares a PhD thesis at the Ecole des Hautes Etudes en Sciences Sociales (EHESS). Sad news at the start of international talks…. Seven years ago, Alex Steffen and Jamais Cascio started Worldchanging with the intention of providing access to the tools, models and ideas for building a better future. They wanted to push the concept that solutions-based thinking could transform the debates about sustainability and social innovation. With a scrawny little blog, a brilliant crew of fellow travelers and a lot of moxie, an initial group of us set out to change how people think about (and prepare for) the future. Since then, Worldchanging has published almost 12,000 essays, articles, blog posts and “quick changes.” We’ve put out a bestselling book (which has been translated into French, German and other languages). We’ve had roughly eight million unique readers, and reached tens of millions more with our ideas through talks, interviews in the media and so on. We’ve had a major impact on the debate, introducing a whole bunch of new ideas and moving forward some entirely new discussions. Many Worldchanging writers have become leading voices in important planetary conversations. We’ve coined a number of phrases, not least the idea of bright green environmentalism. We’ve won awards, earned critical acclaim and, if our mail is to be believed, offered some optimism and inspiration to a number of bright, idealistic people. But all things change, and so it happens with Worldchanging. The organization is taking steps to close its doors and dissolve as a 501c3 nonprofit organization by the end of 2010. It is our goal to see the archive of work here maintained, though the form of that archive is still uncertain. via Worldchanging: Bright Green: Thank You for Seven Years of Worldchanging. “Mapping the Desert/Deserting the Map” is “an arts-centered investigation” of Californias deserts by UC Riversides Sweeney Art Gallery, October 22-25, 2009. The project also investigates “the new, not-so-new and downright ancient technologies that make such mapping possible.” The four-day gathering, along with a year-long series of events focused on California’s deserts, is partially funded by the University of California Institute for Research in the Arts in association with its new Social Ecologies: California-centric embedded arts research program. the “Dry-immersion Roving Symposium” exploring “widespread concern over environmental, economic and cultural sustainability is fast pushing the desert from the margins to the center of attention in debates on the future of our planet” includes tours of the 29 Palms Marine Base and the lower Colorado desert oasis/dune systems and lectures and discussion on desert issues. via APInews: Mapping the Desert/Deserting the Map .